Continuing my posts on the attractions on the South Coast of Iceland. While driving on South coast you will notice waterfalls after every few kms. 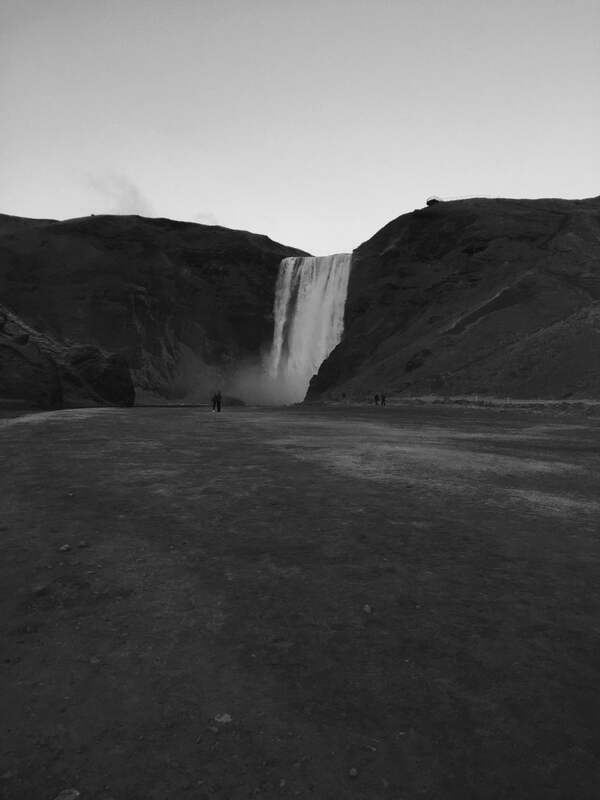 So we decided to make a stop at Skogafoss , one of the most popular waterfall in Iceland and a true rival of the Gullfoss. 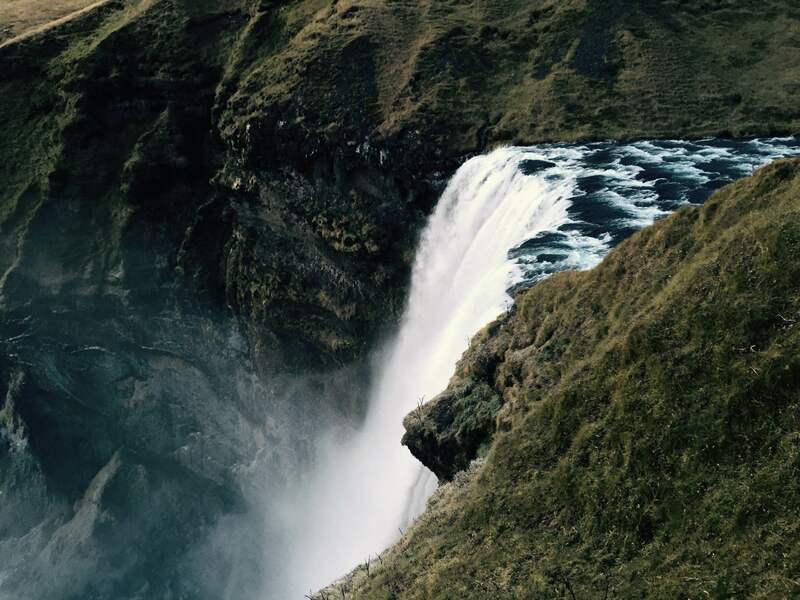 The meaning of the name of this waterfall is “skógur” meant “forest” and “foss” meant waterfall. That means somewhere in the old days this must be a “Forest Falls”. But it does not look like a forest at the moment, but has a lush of green all around. The tall waterfall (of 25 metres (82 feet) and a drop of 60 m (200 ft)) surrounded by green mountains makes it spectacular. 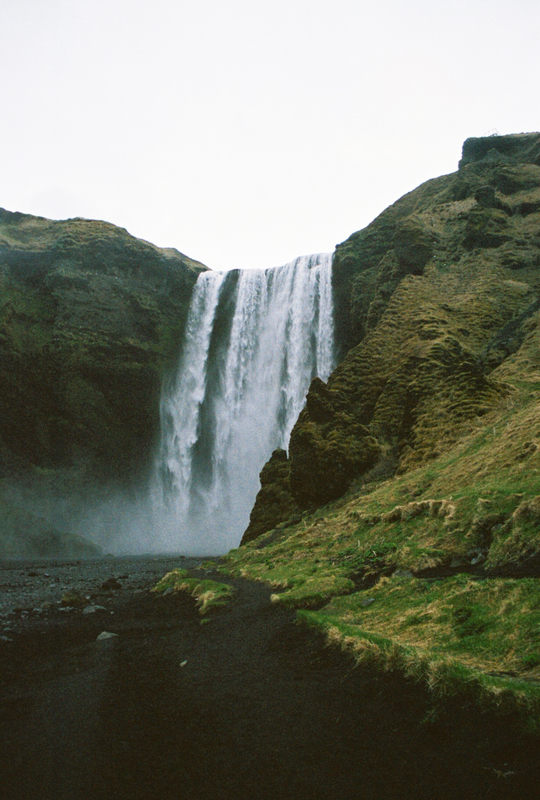 According to Icelanders, the first Viking settler in the area, buried a treasure in a cave behind the waterfall. The legend continues that locals found the chest years later, but were only able to grasp the ring on the side of the chest before it disappeared again. The ring was allegedly given to the local church. The old church door ring is now in a museum. How interesting, that chest actually disappeared. If you did not have enough of the sight, you can choose to hike the path that climbs up the cliffs surrounding the recess containing the falls to yield top down views of not only the waterfall but also the view towards the Atlantic Ocean as well. 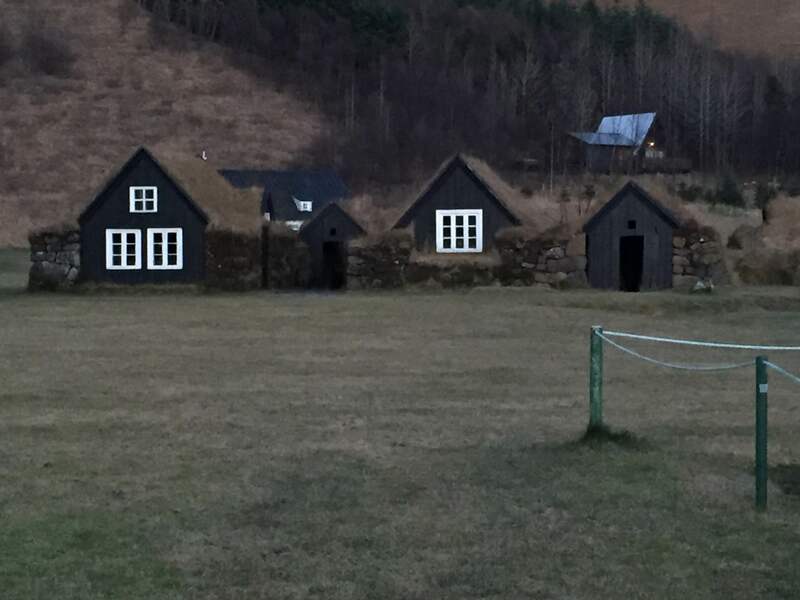 Just before leaving Skogafoss, we took a small turn around the area to have a quick look at the open air museum that shows the houses during old times in Iceland. When I looked at the houses it definitely looked pretty, but then the thought of how people managed to live is such a small space and how bad it would be during rainy and snow days. I loved the second picture- of waterfall! You got some really nice images…and must have done a bit of hiking to get to the top. Nice images !!! I am getting more and more impatient to visit Iceland , but I’ll still have to wait till September next year. Anyways our hiking trip ends in Skógar. 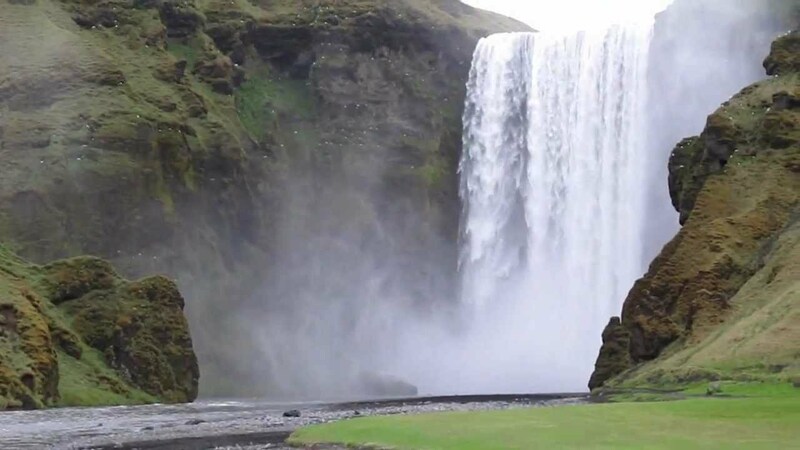 So I should be able to visit this stunning waterfall and museum as well. Really looking forward. Thank you so much for stopping over. Iceland is beautiful country and I have fallen madly in love with it. Please feel free to get in touch if you need any help or suggestion. Just discovered your blog and so glad that I did!